Congrats to Our #pass24HOP Challenge Winners! Last week we enjoyed some fantastic sessions from PASS Business Analytics Conference speakers during the 24 Hours of PASS Business Analytics event! In addition to all the great content, we had a little fun during the #pass24HOP Challenge that we played alongside with you on Twitter! Near the end of each session, we asked you a question about the session and the first person who replied to us with a correct response won a cool Microsoft tee. Of course, the tees were just the frosting on the cake – from all the eligible entries we received during the twelve hours of live streaming, we randomly selected one participant to win a free ticket to the 2014 PASS Business Analytics Conference in San Jose California! And now, drum roll, please! Congratulations go to our community’s own @SQLJuJu, grand prize winner of the #pass24HOP Challenge! We will be very excited to see @SQLJuJu and so many of you at this year’s conference, where you can expect much more of the BI goodness that you tasted during last week’s 24 Hours of PASS Business Analytics event! We would also like to thank our community for your continued enthusiasm, support and for playing along with us in the #pass24HOP Challenge! Please follow us on @SQLServer and @MicrosoftBI for more fun and games all year long! So, if you haven’t registered yet, what are you waiting for! Registration is now open here. Oh, and in case you’re curious, we’ve provided the #pass24HOPChallenge answer key below for future studies! You can also watch each of these sessions on demand through the links below. Q. Which Power BI add-in can be used to define key performance indicators (KPIs)? Q. Where does statistical learning theory help us in the Predictive Analytics process? Session 4, Stacia Misner, Has Big Data Killed the EDW? Q. What are the three key reasons that big data technology has become a more viable approach to analytics? Q. Which data mining algorithm is using the Highlight Exceptions tool? Q. Which editor should you use to put a DAX query in a RDL Report edited in Visual Studio? Q. What Big Data Vs did Karen @datachick disagree with? Q. 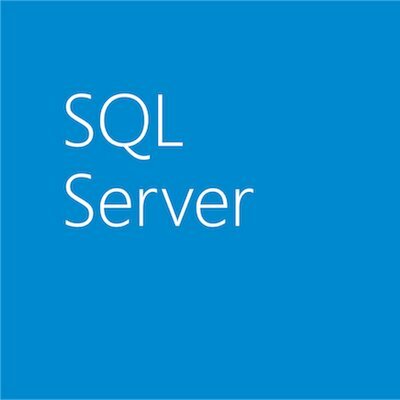 What term is used to describe the way that Power Query tries to push processing back to the data source that it’s querying? Q. What is the first step in Phase 0 of a Big Data Project is? Q. Which report object from the SSRS toolbox can be used to make Risk Matrix charts? Q. What are methods for distributing data within PDW? Q. What is the training data set used for?